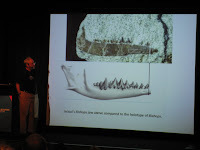 Yesterday we presented the 2009 Field Report to the Friends of Dinosaur Dreaming and the Dino Dreaming crew. 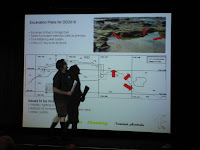 Lesley talked about some of the finds this season, Dr Tom Rich talked about the latest research, John talked about field techniques Dave showed us some cool new images and Mike talked about his finds on other parts of the Bass Coast. 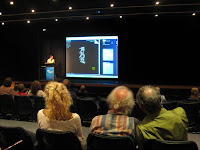 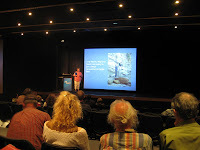 We had a great new venue this year - The Age Theatrette at the Melbourne Museum.